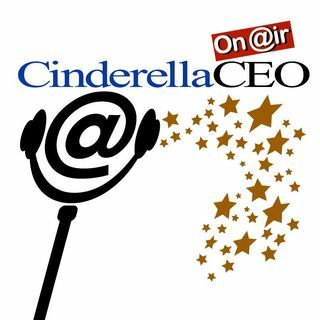 Cinderella CEO "On Air" is a career podcast based on the international book, From Cinderella to CEO - How to Master the 10 Lessons of Fairy Tales to Transform Your Work Life. Cinderella CEO on Air is a career podcast based on the international book, From Cinderella to CEO - How to Master the 10 Lessons of Fairy Tales to Transform Your Work Life. Cary Broussard, author of the book and host of the show interviews CEOs and executives about their Cinderella Stories and how using the lessons of fairy tales have ... See More helped them successfully navigate business challenges. The guests come from a wide range of businesses and offer steps to develop a successful career. The podcasts offer anecdotes and stories that guide listeners, based on lessons of fairy tales. The podcasts have a fun tone and create memorable lessons that listeners at all levels of their career will enjoy.